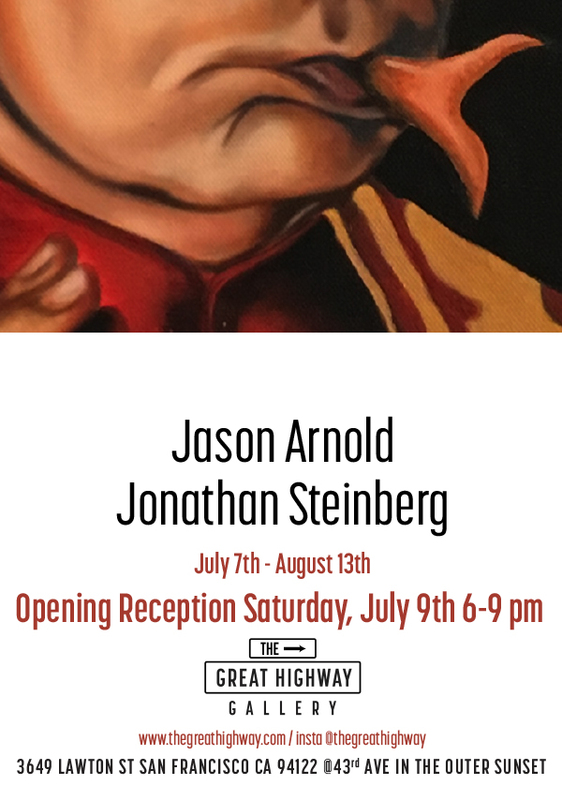 paintings of Jason Arnold and mixed media works from Jonathan Steinberg. Jason Arnold is a self taught oil painter from San Jose California and is now a resident of Santa Cruz California. Currently Jason works as an art director for Oj Wheels and Krux trucks. Jonathan Steinberg lives, works, surfs and fishes on the Westside of Santa Cruz.